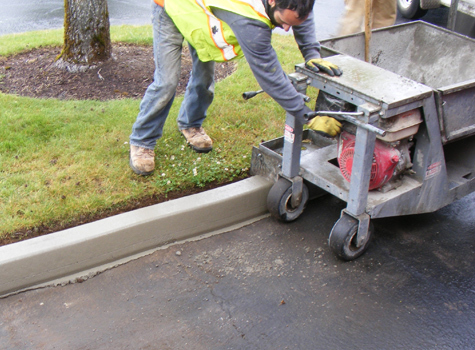 Benge Industries installs and repairs concrete sidewalks, curbs and aprons for both commercial and residential settings. 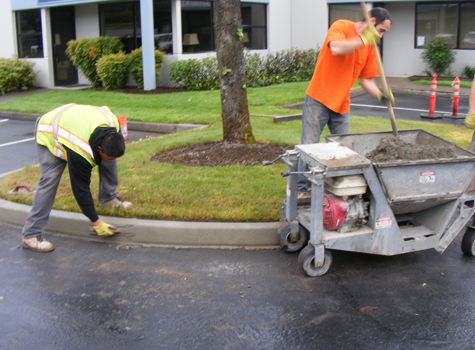 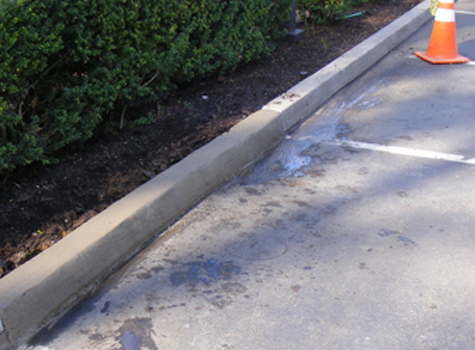 To keep your property looking its best, well-maintained sidewalks and curbs are important. 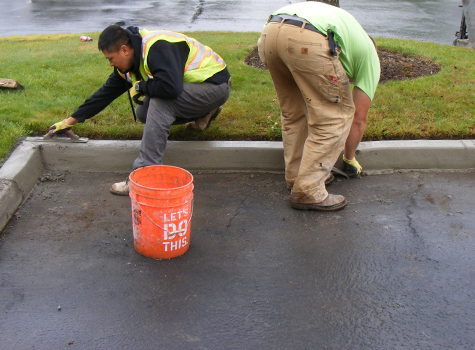 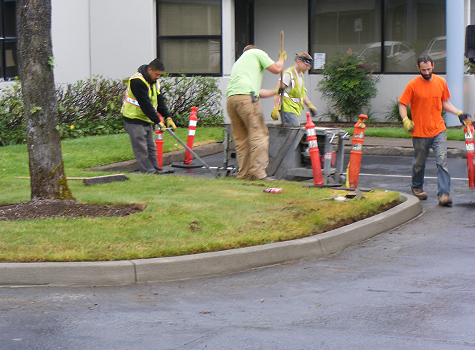 In both commercial settings and residential areas, well-maintained sidewalks, curbs and aprons are also an issue of safety, reducing liability of tripping hazards and falls. 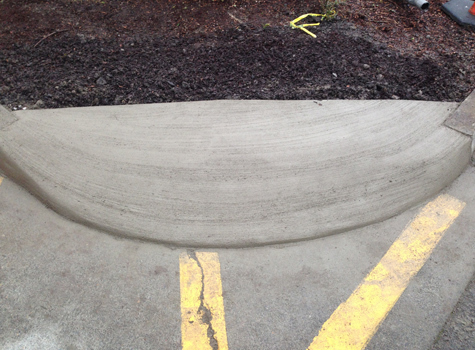 Placed on top of the asphalt after paving is completed. 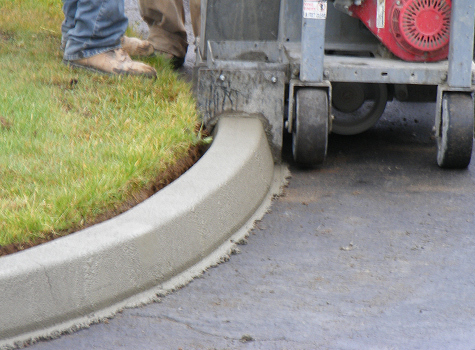 A very cost-effective type of concrete curb. 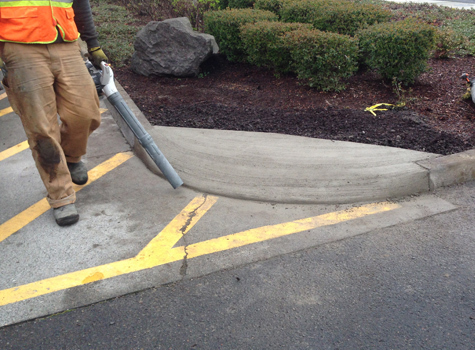 A great addition and asset to existing asphalt parking lots. 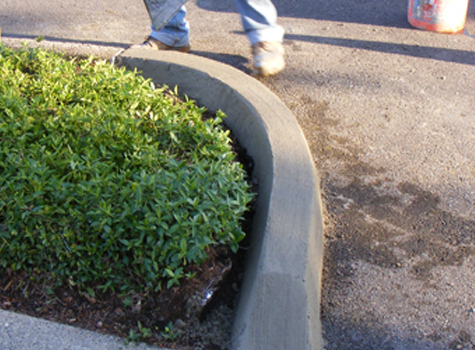 Helpful with the safety and appearance of your property.